Lanscaping will make you money when you sell your home. Find out how to gain return on investment for home improvement in this infographic. 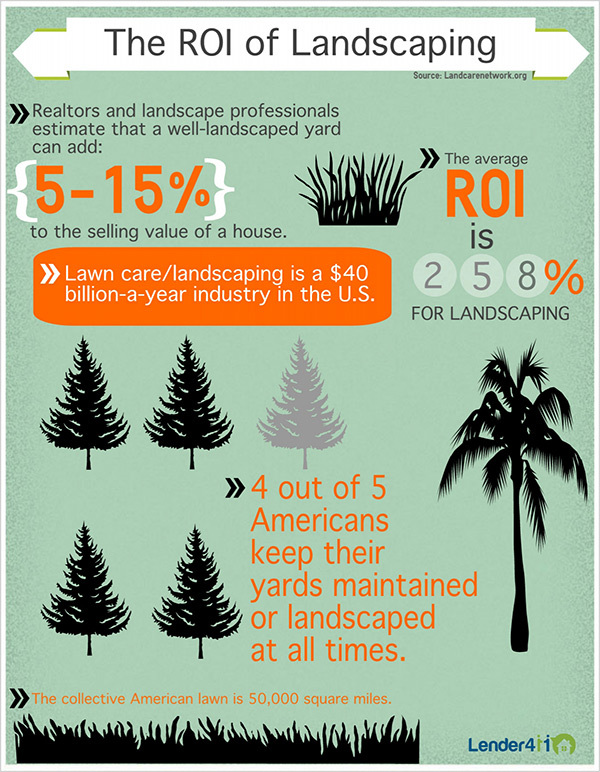 You can add 5 - 15 % to the value of your home and retain a 258% return on your landscaping investment.